In case you have been practising the Luddite lifestyle, participating in an experiment simulating life on Mars, here’s a news flash for you. Windows 10 is about to ship, and you may already be entitled to a copy. 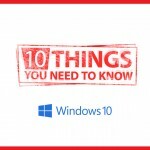 To help you get ready for the big day, which by the way is July 29, we wanted to prepare a little list of the top 10 things you should know about Windows 10. Users with a licensed version of Windows 7 or 8.1 home or pro will be able to upgrade to the same version of Windows 10 through Windows Update. Here’s what else you should know. To quote my good friend from Fargo, you betcha! Per the Microsoft site at http://www.microsoft.com/windows the Windows 10 Upgrade Offer is valid for qualified Windows 7 and Windows 8.1 devices, including devices you already own. Some hardware/software requirements apply and feature availability may vary by device and market. The availability of Windows 10 upgrade for Windows Phone 8.1 devices may vary by OEM, mobile operator or carrier. Devices must be connected to the internet and have Windows Update enabled. Windows 7 SP1 and Windows 8.1 Update required. In other words, if you currently have a licensed copy of a retail version of Windows 7 or Windows 8.1 (but not Enterprise) then you can reserve your free copy. 2. How long is free free? For the supported lifecycle of Windows 10. This is not a trial, or a one-year subscription, or anything like that. This is the full and fully supported product. 3. When will the upgrade be available? You will be able to download your full version starting July 29. Make sure you have a good connection, as it will be a roughly 3GB download. 4. Will the previews convert to the full version? No. If you are currently running one of the CTP versions, it will not upgrade to the final release. You will have to download that and install it fresh, or to an eligible Windows 7 or 8.1 system. 5. How do I reserve my upgrade? You can do that here. If you are running the most recent version of Windows, you should have started receiving notices from Microsoft to reserve your version of Windows 10. 6. How do I control upgrades at work? For starters, if your users are running on domain joined machines, they won’t get the free upgrade. Presumably, they are running the Enterprise version of Windows, so that version is not eligible for the free upgrade, but more importantly, if you are running a network, you want to control the updates for your business yourself. 7. Can I download an ISO? No, at least, not officially. There are various tweets from Microsoft employees that say you can, but that is not on the official website. 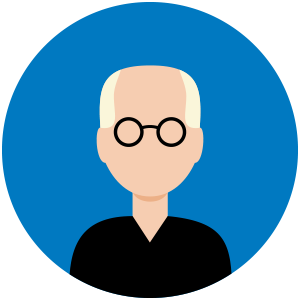 What is on the official website is that you can create a USB or DVD media to do a fresh install after you upgrade your eligible device to Windows 10. The distinction won’t matter to most. 8. How much will a full copy cost? According to Microsoft, the retail price of Windows 10 Home will be $119.99 and the Pro version will be $199.99. Enterprise edition costs will vary based on your licensing level, EA, etc. 9. Where do I get my license key? That is one of the more important things to know. You will use your existing Windows 7 or Windows 8.1 license, so you do not need a new key. However, you do need to have your current key. So, start digging for it. Yes, but since I have been running Windows 10 from build 9934 through 10146, I am willing to bet you that you won’t ever want to! 11. What is the downside? Yes, our list goes to eleven! So, there are some apps in 7 or 8.1 that won’t be there in 10. Here’s the short list. Windows Media Center is gone. If you use that for DVDs, don’t worry. Windows 10 comes with a DVD player, but if you’re addicted to Windows Media Center you should start saying your goodbyes now. By the way, have you ever seen VLC? Vendor apps may not be compatible with Windows 10, so you should consult the individual app sites to check for compatible versions, and expect Windows software to be updated to the latest version. Desktop gadgets from Windows 7 are no more. Windows 10 is a game changer, and that Microsoft is simply giving it to you if you already have Windows 7 or 8.1 is awesome. If you haven’t tried it already, do yourself a favor and do so now, and then go reserve your free copy. Don’t worry if you forget on July 29. You will not have lost your chance since you can get a copy for up to a year after release date. Also, don’t forget to check out our post about the 10 things you need to do to get your PC ready for the big Windows 10 install day. “6. How do I control upgrades at work? Domain joined PCs are generally ‘Windows 7 Professional’ for most small and medium shops – Ive never even seen Windows 7 Enterprise in those environments – that is ONLY for software Assurance customers (i.e. costs more) . Are you saying Domain joined PCs cant get a free upgrade full stop? I strongly believe that this article should be “Windows 10 release – 11 Things you need to know”. That is because I would include that users should be aware that there will be upgrade and installation errors encountered when one attempts an upgrade. It took me a very long time just to get Windows 10 on my computer as I got several errors when I tried upgrading. Windows’ users who would like to upgrade their computer should look out for some of the following http://errortools.com/windows/5-windows-10-upgrade-errors-you-might-encounter/ Windows 10 upgrade and installation errors. They can be fixed but patience is needed.